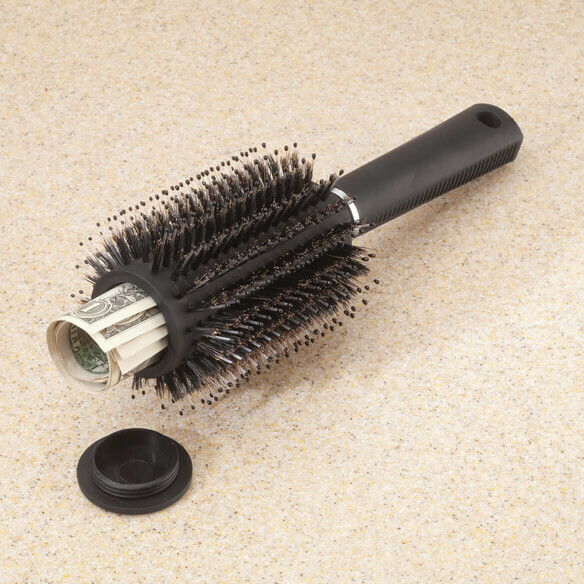 Hide valuables in plain side with this ingenious Beautyful™ Brush Safe. Money, jewelry and more can tuck inside for safekeeping. Just unscrew the top cap to access the storage area. Perfect for home or travel. 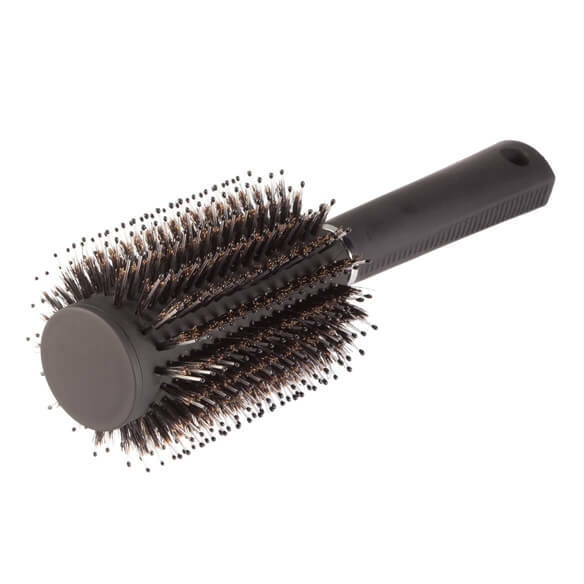 Can be used as a regular hair brush, too. Storage compartment measures 4" L x 1 1/8" dia. 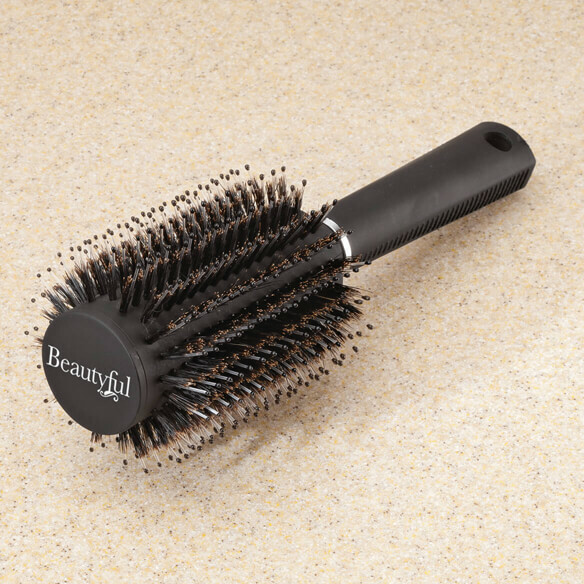 Round hair brush measures 9" L x 3" dia. Gave brush, spools, clips, and combs to hairdresser. She was happy to get them. So don't know how they worked out though. Looked like nice quality stuff. Thank you.